Hovercraft will need to meet the Hoverclub of America safety requirements. Please check with the club at www.hoverclubofamerica.org for clarification. Named “Los Brazos de Dios” (the arms of god) by the Spaniards, at 840 miles, the Brazos River is the longest river in Texas. It is a long, slow flat water stream and the Upper Brazos, where the hover-in will be hosted, has lots of sand bars, occasional class I rapids and 500+ foot tall cliffs of Texas granite. The Brazos River is a throwback to the days of old when the Comanche's roamed the area and some of the best stories of the "old west" originated from this area of Texas. It remains largely undeveloped and is perfect for hovercrafting. The weather is generally picture perfect in the fall. I have 4.4 acres and there is plenty of room for anyone who wants to camp. And I have restrooms. For anyone wanting to stay in an area hotel/motel, there are several to choose from in Weatherford at highway 51 and interstate 20 intersection. And there are a couple of airbnbs available nearby. So, mark your calendars to enjoy some Texas hospitality and a have great time flying the Brazos River. Directions: From Ft Worth, go west on Interstate 20 and take the exit for highway 51/171 in Weatherford. Turn south and veer to the right after a few miles where 171 and 51 split to stay on 51. 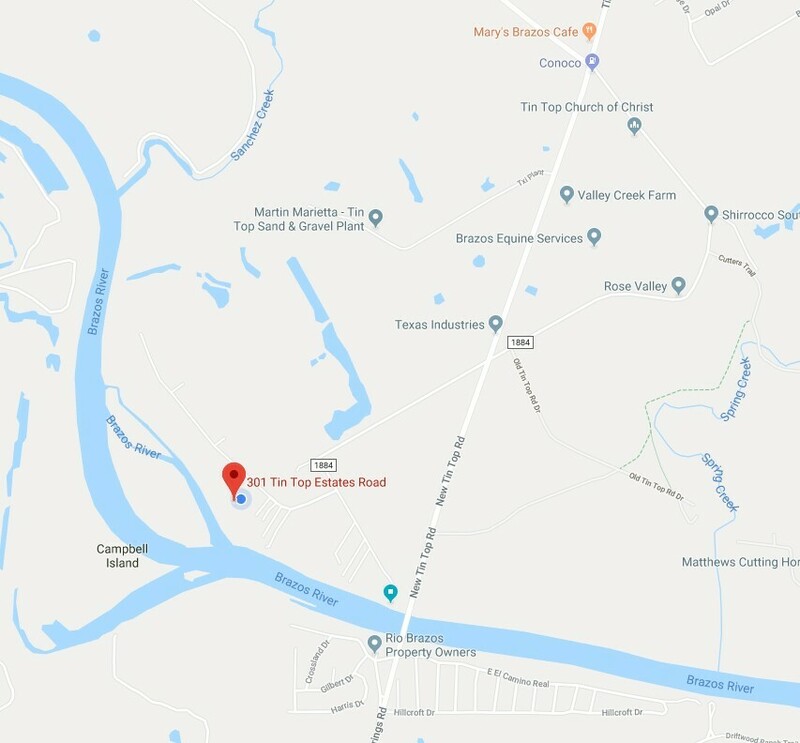 After driving a few more miles, turn right onto 1708, right after the fire station, and turn left onto Tin Top Road where 1708 dead ends. This will take you past Mary's Café, Cody's store and a Family Dollar Store which is the Tin Top crossroads community. Less than a mile beyond Tin Top, turn right onto Old Tin Top Road, then turn right onto Tin Top Estates. My place is the 5th driveway on the left. The number is on the green mailbox.